In Europe, the Czech Republic legalized medical marijuana and several cities from Copenhagen to Dutch cities are considering outright legalization. Uruguay is launching a national debate. This PowerPoint presentation reviews the major events of 2013. I invite you to check it regularly as it is being updated. Previous Previous post: As gays rights hit mainstream, what can drug policy activists learn from the gay-rights movement? 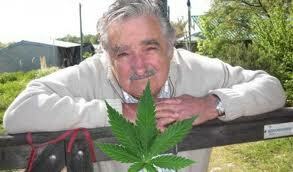 Next Next post: Uruguay could become the first country in the world to legalize marijuana.